The first thing a bride starts looking for when she gets engaged is her wedding dress. Many brides travel to different countries to find their dream wedding dress, and the UAE is considered to be one of the Arab countries which has a huge variety of bridal shops. So if you're getting married in the UAE, or planning on going to find your wedding dress there, we are here to help you out. 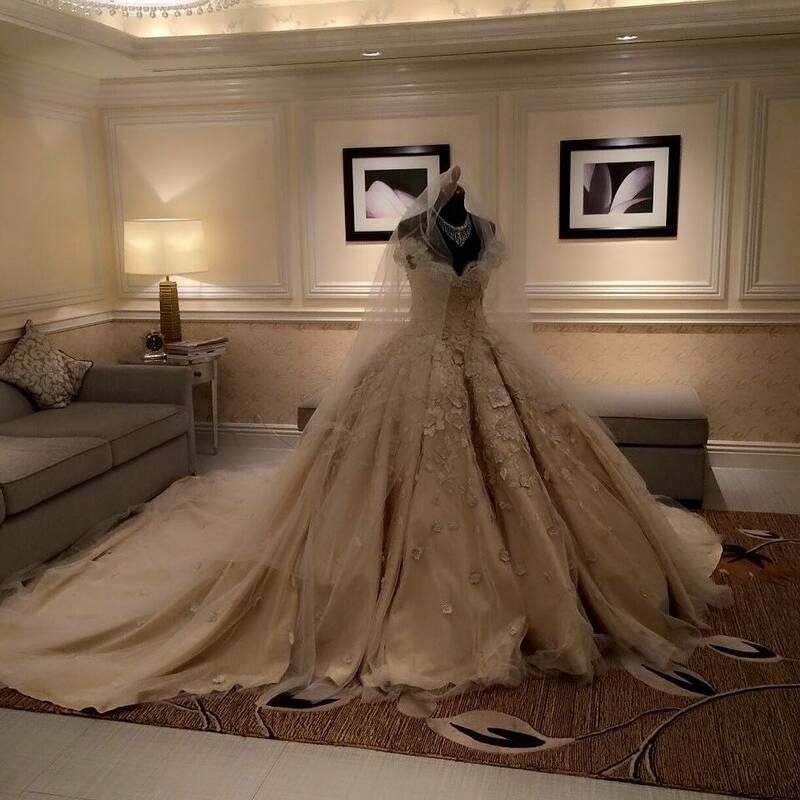 To save you time and trouble we have a list of the top wedding dress shops in Abu Dhabi for you. Pronovias is one of the most knowns brand in the world for bridal wear. The Spanish brand is known for their rich fabrics and elegant lace. The store offers designs from international fashion designers such as Elie Saab and Manuel Mota. There is also a variety of bridal accessories and shoes at the store. Esposa aims to help every bride find her wedding dress and offer her all the help she needs to complete her look. To visit the place and try on the wedding dresses you need to book an appointment with the place first. The store also offers bridesmaids, flower girls, and evening dresses, from brands such as Oscar de La Renta, Monique Lhullier, and Rosa Clara. Esposa also offers stunning bridal accessories and shoes, as well as tailoring and fixing the dresses to fit the bride. Point Glamour Fashion, is owned by the designer Salma. And it is one of the top haute couture places in Abu Dhabi. If you're looking for a customised wedding dress, then you will find what you're looking for here. Salma meets with the bride and discusses the wedding dress design, fabrics, and all the details needed to design a dream bridal gown. The Dress Boutique offers a wide range of elegant wedding dresses in Abu Dhabi, bridal gowns embelished with pearls, crystals, and precious stones are available. A wedding dress can cost up to 1000AED, and the bride can tailor the dress to suit her taste and body. The place also offers customised veils for 500AED. Also read: "The Top Bridal Shops In Dubai"